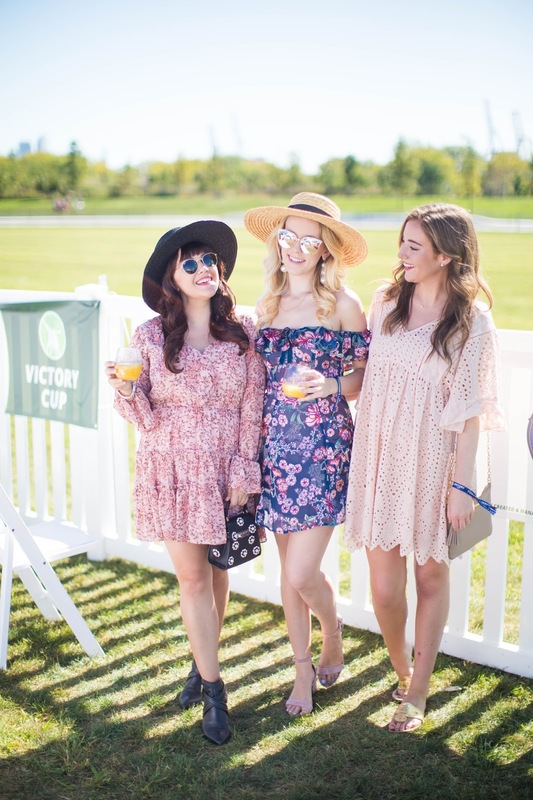 Round two of Victory Cup Polo!!! And I had just as much fun. Some of you may remember that I went to the first Victory Cup held in July. 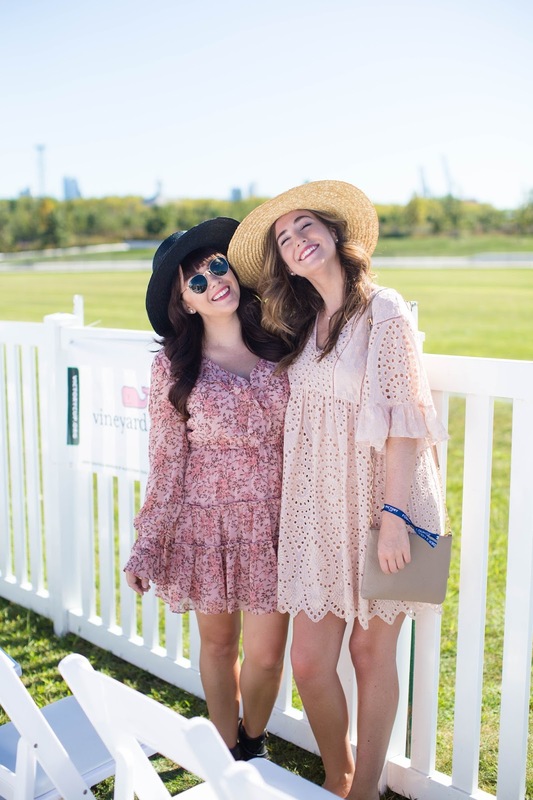 While I had an absolute BLAST at that event, this one was 3x bigger, held on Governors Island (which was a 10 minute ferry ride from NYC and has incredible city skyline views) and even more of my friends attended. 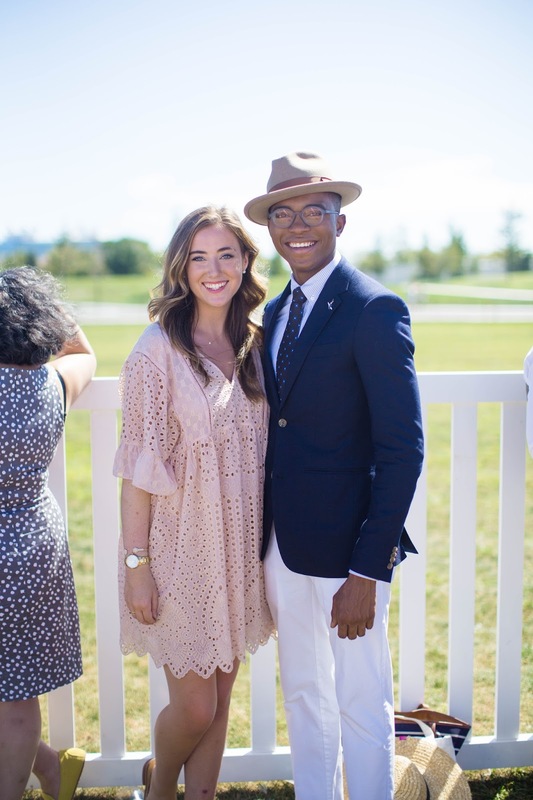 The only downside was the sweltering heat –it was 89 degrees with a side of blazing sun! 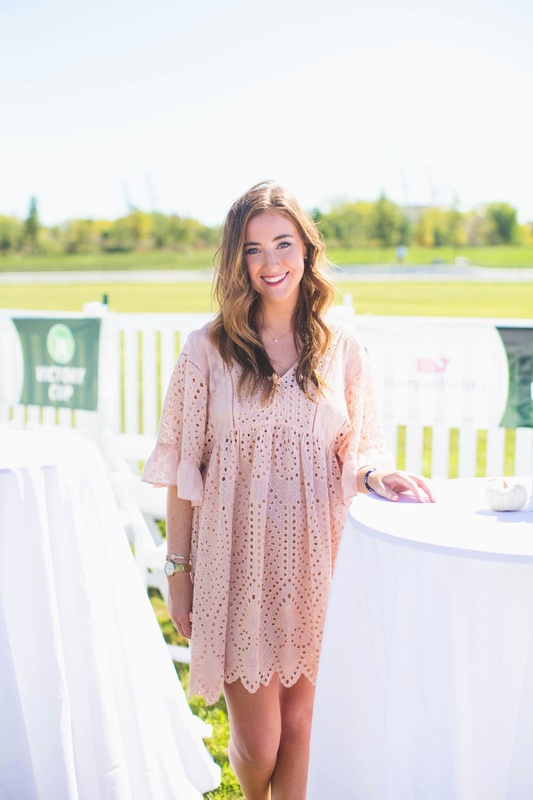 To keep cool, I wore this darling dress from Anthropologie that was very breathable thanks to the eyelets. 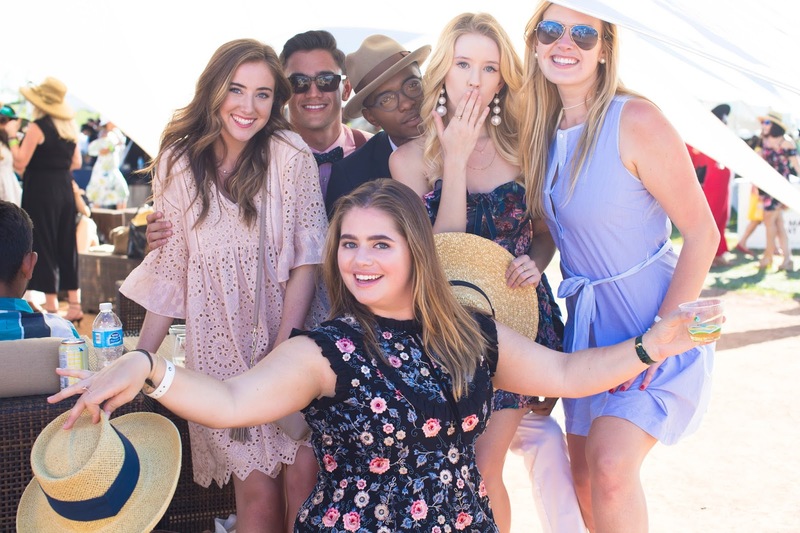 While I know absolutely nothing about Polo, I really enjoyed being around all the horses (I rode from 4 to 18-years-old), seeing all the fun fashion and tasting all the different complimentary food samples from amazing vendors! However, at the end of the day, the best part was having all my friends together in one, very fun place. You look so cute! I love this dress! This day was so much fun! !